Info Barang The Baby Einstein Neptune Activity Saucer has an electronic melody maker that activates fun sounds, a mirror that promotes self-discovery, a seat that rotates 360 degrees and more. 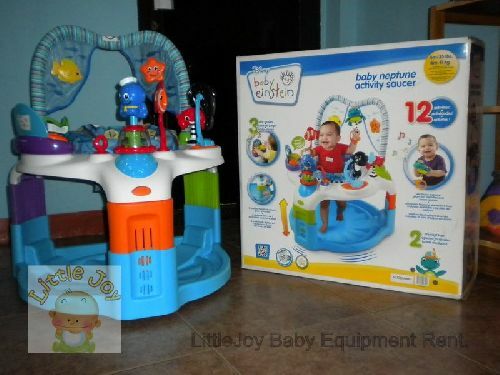 The overhead toy bar has two link loops that allow you to add more toys, and the three height adjustments allow the toy to grow as your baby grows. Dimensions: 27" x 27" x 33"